We had a rush of home games in December and early January which meant that the programme notes for Hitchin, New Year’s Day and Tamworth were written well before Christmas. We also had away games at Bedworth and Kings Lynn so a lot of football has been played in the last few weeks. No doubt the outstanding result was on New Year’s Day when we beat our local rivals 2-1 with a very satisfying winner in the dying minutes of the game! These posters will be availbale to celbrate the New Year's Day victory over our local rivals. Peter Short has very kindly donated some of his images of the match to be made into posters, and all the money will go towards the TIN HAT FUND. There are 2 posters available - one of Rhys Hoenes heading the winning goal, and the other with a collage of images from the match. The A3 size posters will be £5 each, and will be available from Martin Bellamy in the clubhouse on match as from now. 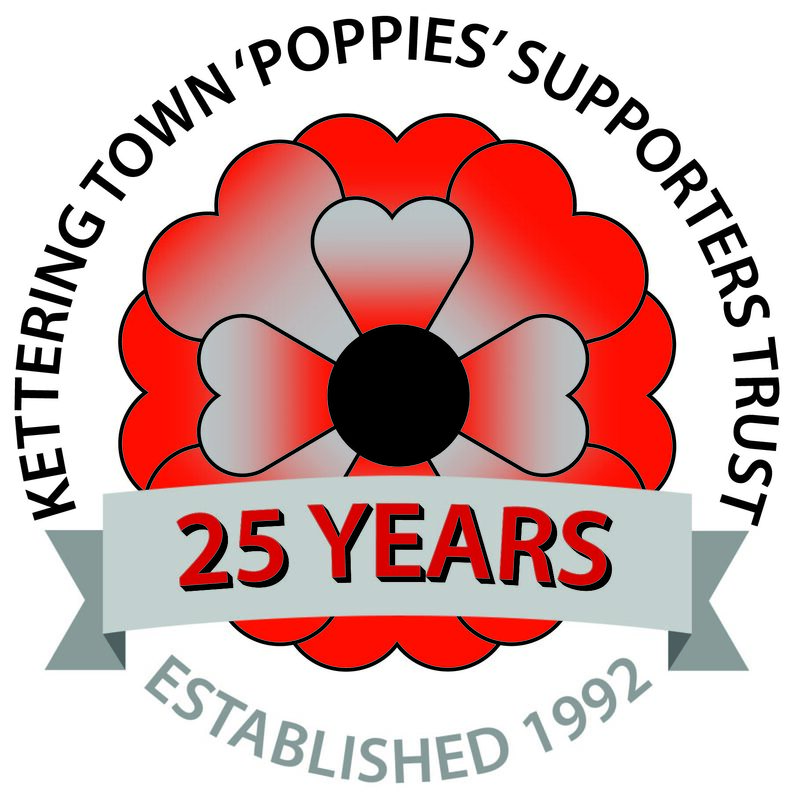 The challenge: To take a photo of yourself in Kettering Town colours at each of the teams that Kettering Town have so far played against in the history of the FA Cup - which as we all know is the most different opponents of any team in the country. The Trust are delighted to offer supporters and local businesses the chance to add their names to a "BOARD OF SPONSORS" on the new terrace, once the TIN HAT FUND reaches its target. The names will also appear on a special sponsors page on the Trust website. For full details of all the above fundraisers, visit our website at www.poppiestrust.co.uk. There will also be collection buckets at the ground on match days whichcan be found at Martin Bellamy’s table in the clubhouse and at the programme table inside the turnstiles. We hope you will support the Trust in its continuing efforts to raise money and donate in such a way to promote the aims and objectives of the Trust and to the benefit of the local community and supporters of the Club.